(Bloomberg Opinion) – Steinhoff International Holdings NV‘s auditors are still trying to unpick a massive accounting scandal, which caused the acquisitive South African retailer’s share price to collapse in December and triggered a scramble to conserve cash. Be mindful of liabilities in the footnotes to a company’s financial statements; Be wary of companies that try to rapidly consolidate a fragmented industry via a so-called “roll-up”. And be especially wary when one leveraged roll-up buys another one. Steinhoff’s purchase of Mattress Firm – a Texas-based company – at a whopping 115 percent premium was met with astonishment from many investors, as well as my Opinion colleagues Andrea Felsted and Chris Hughes. The South African retailer bought a chain of more than 3,500 mattress shops which, like Steinhoff’s own store empire, had been thrown together quickly via a string of acquisitions. Mattress Firm’s revenues almost quadrupled between 2012 and 2016, as it bought stores and opened in new locations. But operating margins had started to deteriorate, and same-store sales growth had slowed. “You can’t go from 500 stores to 3,500 stores and have them all be great assets,” says Seema Shah, a Bloomberg Intelligence analyst. Besides amassing $1.3 billion of net debt, Mattress Firm was also on the hook for $2.7 billion in off-balance sheet lease liabilities related to its sprawling store chain, according to the last accounts it filed. Steinhoff didn’t mention those leases, which are similar to debt, in the text of an investor presentation outlining the deal terms. It’s not clear how much time it spent analyzing them itself. Steinhoff spent only five days conducting on-site due diligence at Mattress Firm, according to this regulatory filing. Both companies declined to comment for this piece. In hindsight, its haste seems surprising. People had already begun to query why Mattress Firm had so many stores when other retailers were busy closing theirs because of the rise of online competitors. There were about 235 Mattress Firm stores in the Chicago area, for example, often close to one another. The shares were heavily shorted. Mattress Firm’s property leases are now a big reason why Steinhoff’s finances are so stretched, and why I think it will eventually have to write down some of the 2.3 billion euros of balance sheet goodwill relating to the deal. That would leave another hole in its accounts. Last year, Mattress Firm filed suit against two former executives, alleging they had conspired with a real estate broker and property developers in a “massive, multi-year fraud, bribery, and kickback scheme.” You can read the allegations of cash payments, expensive wine and watches, first-class trips and gambling junkets here. The parties named in the suit have denied wrongdoing. It’s unclear whether Steinhoff knew about the alleged fraud when it bought Mattress Firm, but there were warning signs. In a filing dated September 12 2016 Mattress Firm revealed it had fired two executives for alleged conflicts of interest involving real estate vendors and had hired outside counsel to investigate. Four days later Steinhoff completed the takeover, making Mattress Firm’s problems its own. Alleged fraud isn’t the only thing troubling Mattress Firm. Same-store sales declined about 10 percent year-on-year in the final three months of 2017. There are several reasons for this, including internet competition and a decision to discontinue a popular mattress line. 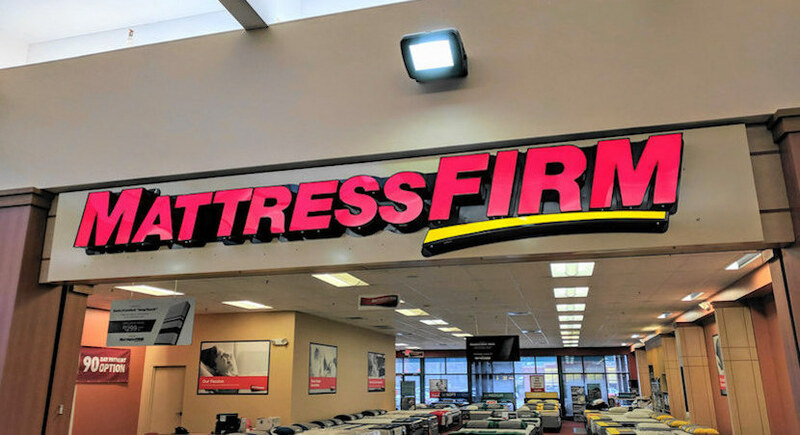 Another is that when Mattress Firm rebranded 1,400 Sleepy’s and Sleep Train stores acquired as part of the roll-up strategy, some customers decided to shop elsewhere. 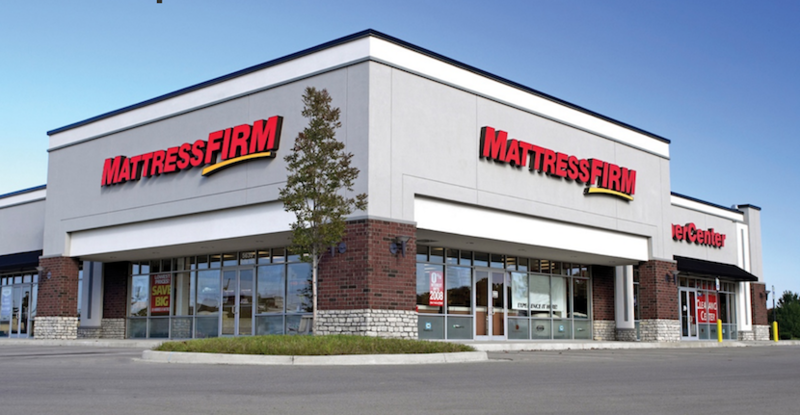 Steinhoff actually had a chance to acquire Mattress Firm in 2015. Yet those initial discussions were put on hold in November that year, when Mattress Firm said it was buying Sleepy’s, according to this regulatory filing. The upshot was Steinhoff ended up paying top dollar to acquire a more leveraged business. Because of its accumulation of so many surplus stores, Mattress Firm is now in the process of closing almost 300 of them. Wedbush analyst Seth Basham reckons at least twice that number might be axed this year and that Steinhoff could end up selling Mattress Firm, as a whole or in parts. But who would want to buy it and at what price? “I don’t think Mattress Firm is worth what Steinhoff paid,” says Shah. For now, Mattress Firm’s cash needs are a big reason why more “work remains to be done to ensure that the [Steinhoff] group and its operating business have the required working capital,” Steinhoff warned in February. Hopefully, Steinhoff’s auditors will discover why it was determined to keep doing deals and paid over the odds for a business like Mattress Firm. But at least the accounting reforms spurred by the Enron scandal will soon force companies to bring operating leases onto the balance sheet. This should encourage investors to study these liabilities more closely. Steinhoff’s shareholders must wish they had.